I can’t believe it, we are already in December again und of course I am in “Christmascardcreationstress” like last year! The year started quiet and relaxing. 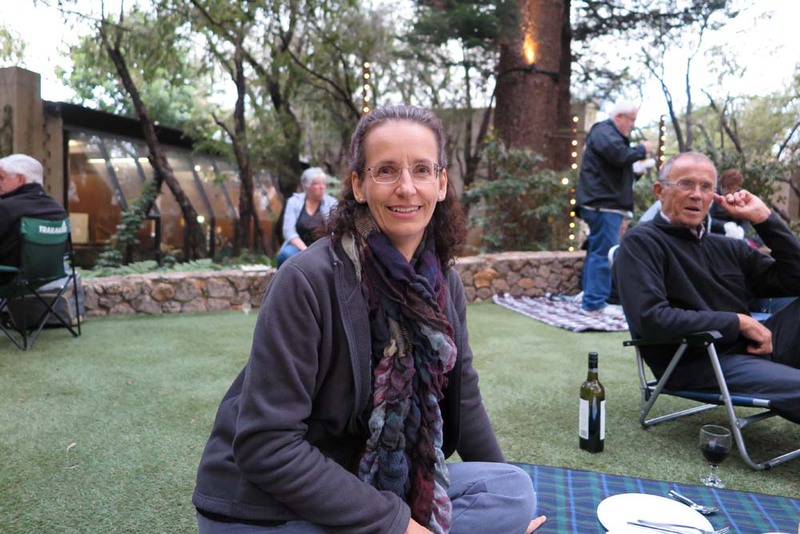 Just the usual activities like going to the outdoor movies with my friends Albrecht and Ross and enjoying a yummy picnic no matter how good or bad the movie was. Otherwise there wasn’t really anything notable happening. Of course I went to the beach most Saturday and Sunday mornings for a quick dip and 5 minutes of sun baking and the usual catching up with friends. 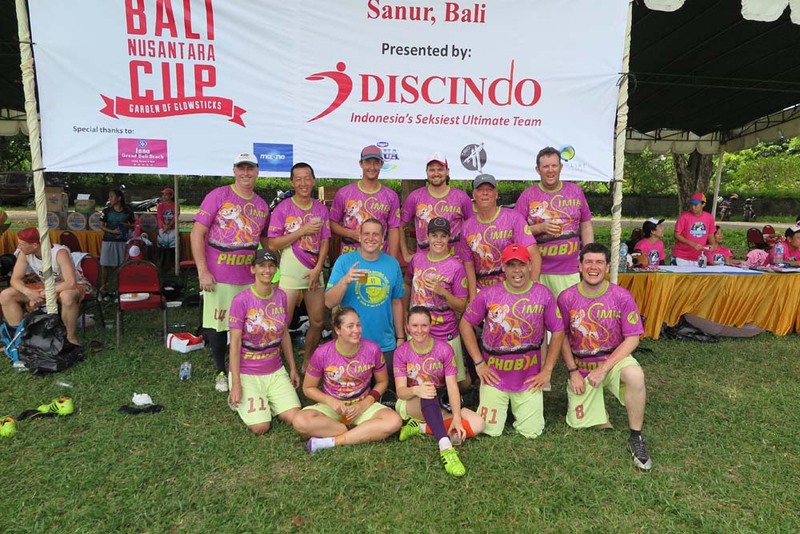 Since I recovered financially I decided to attend a Frisbee tournament in Bali. I flew out on Wednesday night. The first day was to acclimatise and look around a bit. We had a quick training session in the afternoon and afterwards I went straight for my first $15 massage – one hour. We played 8 games over the course of Friday and Saturday. While we didn’t win a lot we still had good fun. There was also a lot of entertainment during the day as well as in the evenings. To help the sore muscles, I had a couple more massages and of course we used the pool at the hotel extensively. I think we scared most other guest away and basically had the pool to ourselves. Sunday was my only free day and hence I booked a driver to go to Ubut. We stopped at all sorts of attractions on the way which unfortunately meant we arrived really late in Ubut and there was hardly time left. 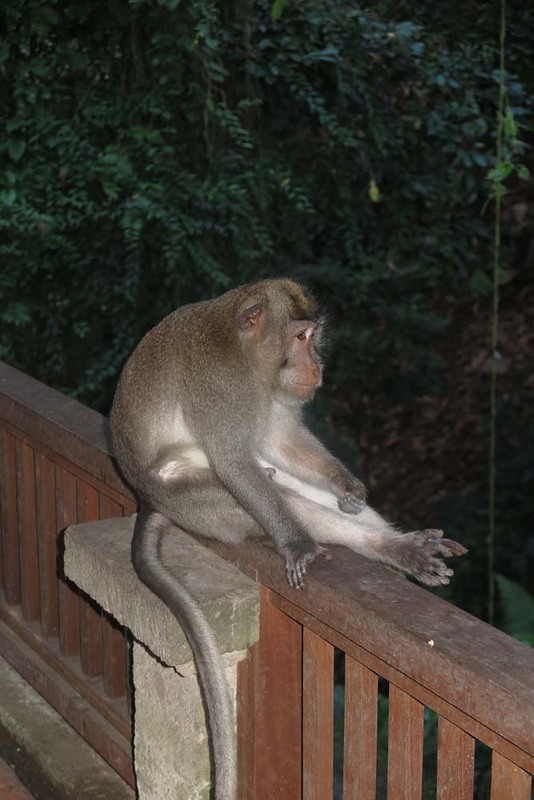 We did a quick stop at the Monkey forrest and we could see a number of cheeky monkeys running around on and near the car park, but the park was already closed and we had to drive back anyway. Monday morning was a quick shopping trip to lots of small market shops along the beach. They sold mainly cloth, bags and lots of souvenirs. To try a dress you just walked deeper into the store and hid behind the tons of cloths or if you were lucky, there was a curtain to hide behind. Of course I made some bargains to bring home. Back at the hotel we refreshed ourselves in the pool and then I was off to the airport. I arrived home very tired but happy around 11pm. Off to work on the next day, but had to give in to a cold, I probably picked up on the flight, on Thursday lunch time and went home to bed sleeping for the next couple of days. It’s already over a year since I started my full time job and I have settled into the routine of going to work everyday as well as my tasks have been increased. After 6 months with lots of work we finally launched our new company website. Shortly after the first estate website for Wentworth West followed and at the end of July the website for our new Estate Vivente was launched. As I was just going great guns, I started with the next estate only to be stopped in my tracks shortly after. In the meantime I have been able to recommence and the site is going live hopefully before Christmas. With the opening of two new estates in 2015, there were lots of marketing materials to create and I was happy to be creative. From huge billboards (3x6m), to smaller signs, flyers, flags, collages, folders, sales plans, online newsletters, full wrap of our temporary container sales office etc I am designing almost everything and creating the print files. Of course the printing is done external. Since I bought a new camera at the end of 2014 I have also been “promoted” to company photographer. I have been out with my colleague Martin to various photo shootings of our estates and the surroundings. Not to long ago our Managing Director said: “You have a very rare talent!” when I presented a mock up for a card design. Just before I went on leave in August our Managing Director told me he wants a proper database. I was really surprised. So my new project is the programming of a database! We have got the hard and software already and I am just starting on it. Volleyball was the big looser this year. After some political games I decided to not play. I missed it at the beginning, but now I don’t care anymore and my body is so much happier without all the pain. In May or June I finally started with yoga. I wanted to do a class, but since I didn’t get my act together I simply started to do my own yoga at home and I am still doing it! It’s mainly to stay flexible, so it isn’t that important for me to do it 100% right. 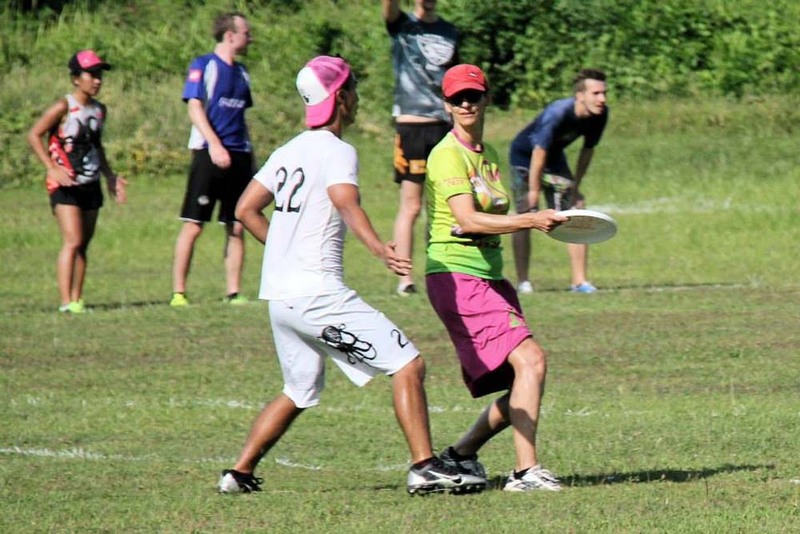 And of course I am still playing frisbee and I am already looking forward to the next Bali tournament. On the 15th August I left for my holiday in Germany. The first two weeks were packed with family activities. The first week I spent with my brother and his family doing day trips. The second week was filled with a trip to Italy with my sister, her husband and of course the dog. And my mum was everywhere included. In between my mum and I had another bus trip to Verona, Italy. 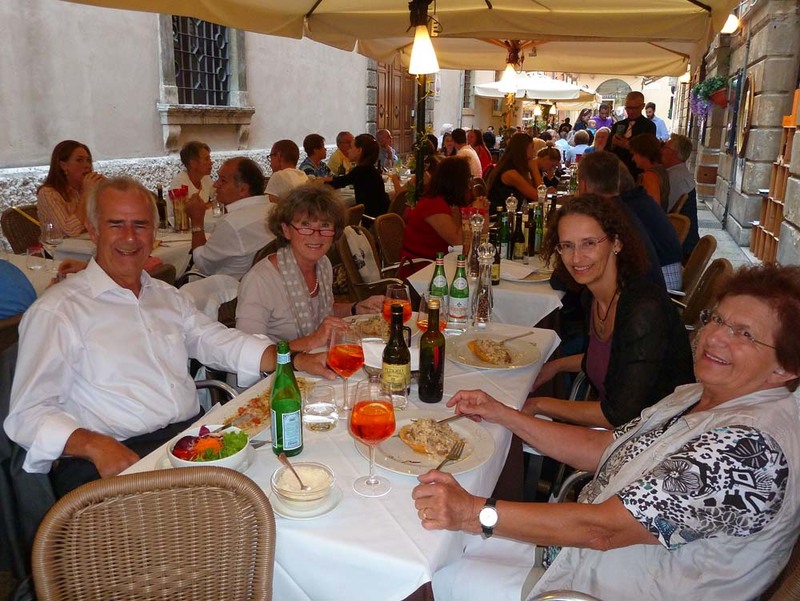 We caught up with my aunty and uncle and viewed two operas: Romeo and Julia and Nabucco. Both were fantastic. And guess what, I re-discovered Aperol during my holidays! 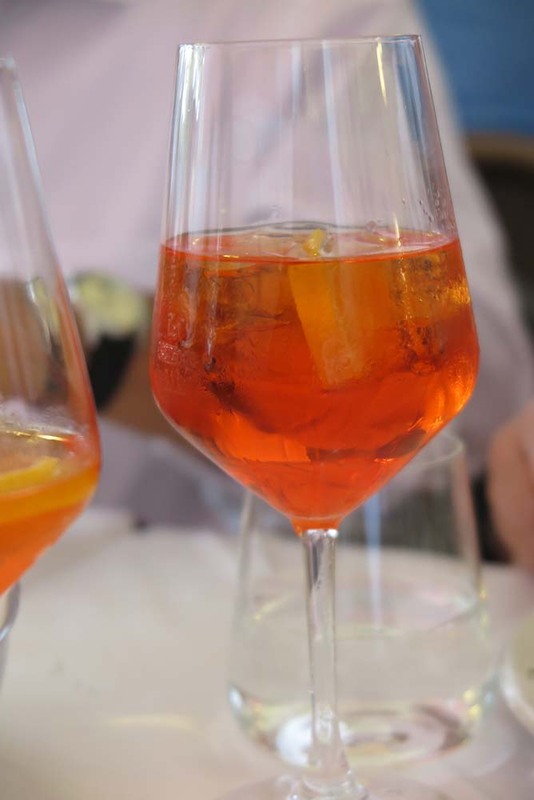 It’s served as Aperol Spritz and it is the best sommer drink. 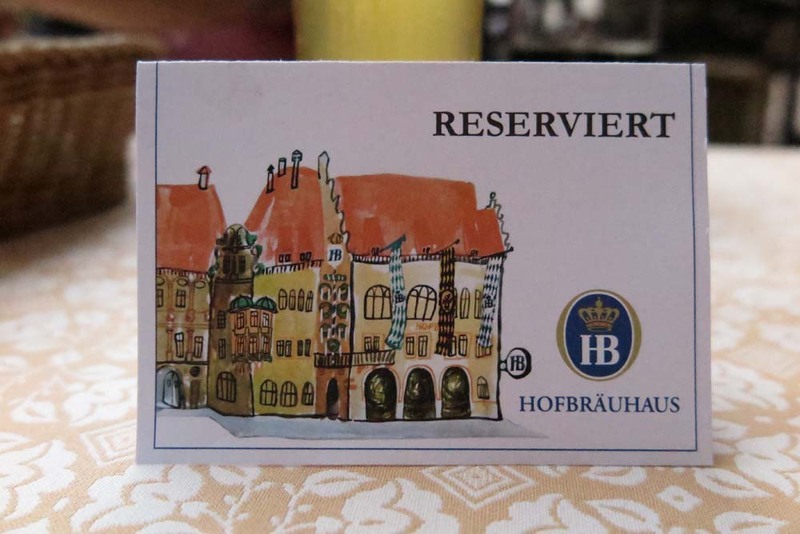 I stayed the last week of my holiday in my hometown Weilheim. Besides some activities with my mum I tried to met some friends, but there was just not enough time for everybody and hence I saw only very few. The weather was perfect for most of the time with temperatures around 30 degrees, but unfortunately I got sick again at the end. So coming home sick on a Wednesday evening and having to go to work on Thursday and Friday is no fun, but I survived. 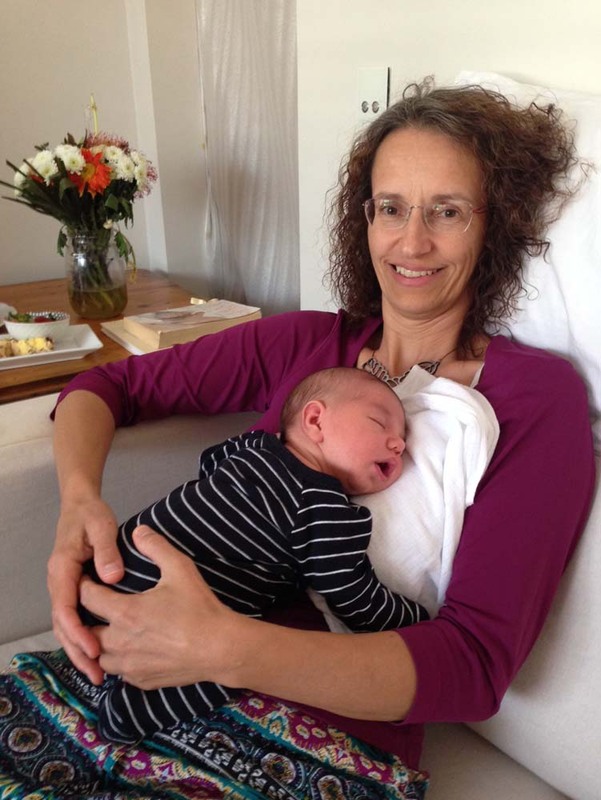 Just days after my return my ex-colleagues and friends Anina and Blake had her first baby boy Luca. I have already made my debut as aunty Regine. Since I am back I am in creative Christmas card madness. My german mail was flown over by Darrin and Knut and hence I could save a lot on postage. 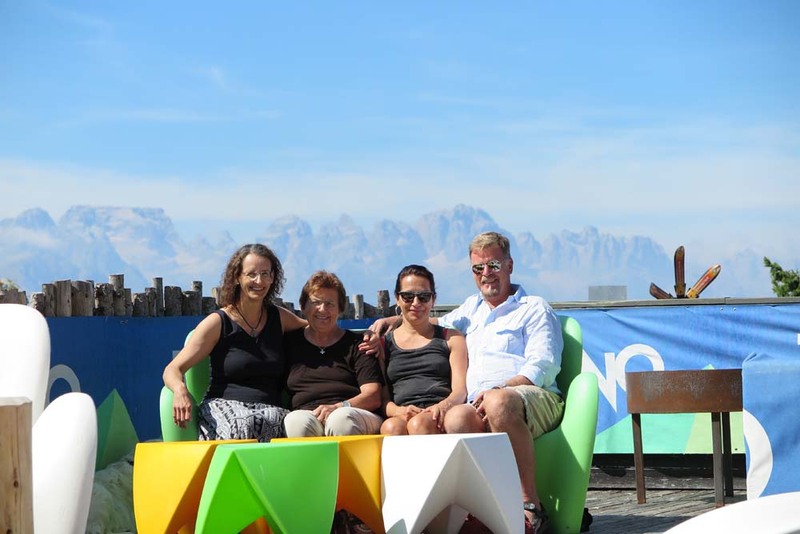 A big thanks to Knut’s parents Ingrid and Uwe for being the postman. Originally I also wanted to done with my Australian Christmas mail by now – at the beginning of December – but a computer disaster on the 12th November changed everything. On this day the datacentre made a mistake the webserver with all data including all backups was basically erased. That meant, that a whole lot of my ex-clients didn’t have a website anymore and some also no emails. My hosting company, who had rented a space on this webserver couldn’t recover from this and closed. At least my hosting company had a back up from the 4th November. For a lot of others was only a back up from the beginning of August available. For the next 14 days I was sitting every free minute on the computer to re-instate websites and emails after setting up new hosting plans. When it happened I thought it will be all fixed within a couple of days, but I was so much more. My email history is still only just half sorted and I still have to invoice for the hosting fees I prepaid. There is still a lot to do. Since then I have managed to create exactly one single card and only because it was a special order and needed. Usually I sit at least once a day on my craft table! And of course everything else was left behind as well, ie like this post. I already sold 62 Christmas cards and another order of 25 is coming soon. So I better get back into crafting and create more otherwise my Australian Friends might not get a card! The beach season was opened at the beginning of October. The ocean is already beautiful, fresh, but so nice. I can’t wait for summer. Hopefully soon I will be enjoying tomatoes from my own garden. I bought three little plants and by now they are over 2 metres high and have lots and lots of green tomatoes. 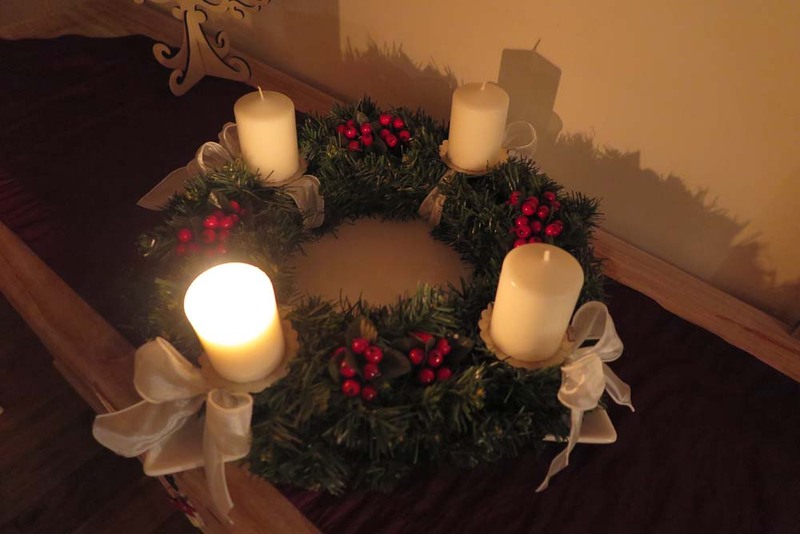 On Saturday I quickly created an “Adventskranz” (advent-wreath) and I lit the first candle on Sunday. Have a wonderful festive season and merry Christmas and a happy New Year! PS: I love creating and sending cards, but I also absolutely love to get cards in the mail.